MARINA BAY SANDS, SINGAPORE, JUNE 2, 2015 — RTW, the market leader in visual audio meters and monitoring devices, is unveiling firmware version 3.5 for its TM3 TouchMonitor series at Broadcast Asia 2015 (Stagetec Asia, Stand 5E6-01). This software update enables RTW fully-licensed TM3 series and Smart Series products to experience the company’s latest loudness solutions, including the expanded feature set and display of the Loudness Chart instrument. RTW protects the investment of its customers. For that reason, the company offers software bundles for any previously purchased TM3 series products to enable the use of firmware 3.5, and future versions. This provides current RTW TM3 customers with the same full feature set as TM3 Smart series users. Existing TM3 devices convert with the listed software bundles to the corresponding device of the Smart category: TM3 with TM3-SWB1 or TM3-6CH with TM3-SWB2 effectively becomes a TM3 Smart, while the TM3-3G with TM3-SWB3 is the same as a TM3-3G Smart. These upgrades are presented at very competitive prices. The Loudness Chart instrument is used to display the progress of a measurement (TP, M, S, or I value over time) as a line or colored area under the curve on a coordinate system with selectable time range. Additionally, the tolerance range can be displayed as a corridor. A dynamic line will show the position of the Relative Gate in relation to the “I” value and an additional bar graph for the display of the current “I” loudness value can be selected. Further, when the corresponding software bundle has been installed, future instruments and functions can be added via firmware update automatically. 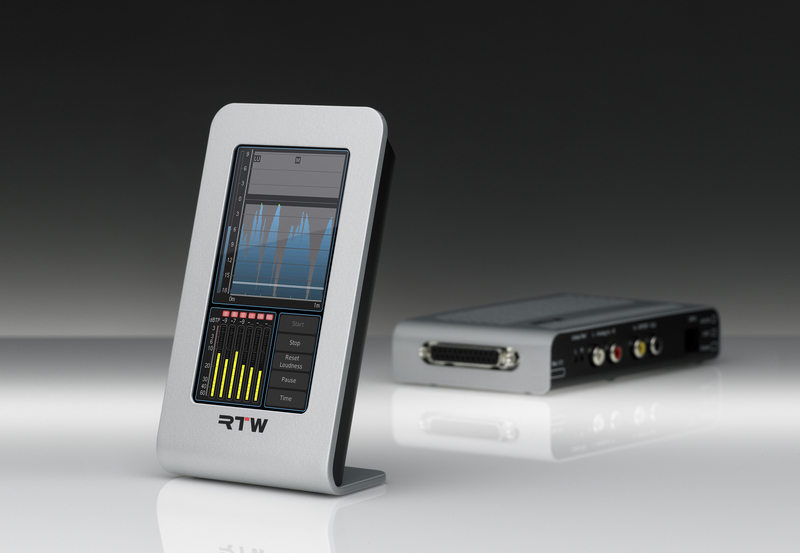 RTW plans to add the following classic TouchMonitor instruments as part of forthcoming software upgrades for all TM3 units: RTA (Real-Time-Analyzer), SSA (Surround-Sound-Analyzer) and VSC (Audio-Vectorscope). The TM3 and TM3-3G Smart Series products incorporate the company’s Devicer DC1 software, which allows users to personalize and adapt existing presets to their needs, and create several configuration sets with different presets that can be uploaded to the devices. Ideal for editorial offices, edit suites, control rooms and other applications requiring easily readable, out-of-the-box loudness-compliant level control, the Smart Series handles analog or digital stereo signals. The TM3 can control up to six channels of digital signals and the TM3-3G can send up to 16 SDI audio signals to eight AES3 outputs. Along with PPM and true peak instruments, the TM3 Smart and TM3-3G Smart offer single-channel and summing bargraphs, loudness range, loudness chart and numerical display instruments for loudness measurement, with supported loudness standards including EBU R128, ITU-R BS.1770-3/1771-1, ATSC A/85, ARIB, OP-59, AGCOM and CALM Act. The devices’ moving-coil instruments display stereo signals with different scales and modes (PPM, VU, loudness, BBC). Designed for workstations, edit suites, musicians and small site operations, the compact monitors come with a highly intuitive and user-friendly 4.3-inch touch screen interface that allows for vertical and horizontal operation with a full set of easy-to-read instruments for level and loudness metering that can be preset. What’s more, the TM3-3G is designed for metering, de-embedding and monitoring 3G-SDI audio signals as an integrated 3G-SDI de-embedder interface.